The House of Representatives will vote this week on a bill that will prevent President Obama from transferring any more men (even those cleared of any crime) out of Guantanamo Bay military prison. 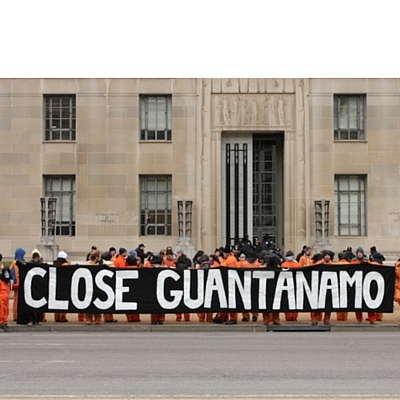 The President was elected in 2008 on a promise to close down Guantanamo, but 61 men remain incarcerated there, including 20 men who have been cleared for transfer. Time was already running out for the President to make good on his promise, but now Congress wants to slam the door shut and prevent anyone else from leaving Gitmo. The bill, HR 5351, To prohibit the transfer of any individual detained at United States Naval Station, Guantanamo Bay, Cuba, will come to the House floor for a vote as early as Wednesday, September 14, so please take action now. HR 5351 was introduced in May by Representative Jackie Walorski (R-IN). It prohibits any spending on transferring any detainees until either January 1, 2017 or the passage of the National Defense Authorization Act, whichever comes first. Since January, President Obama has transferred 46 detainees out of the military prison, and a staff person for the House Armed Services Committee told Politico that the “unprecedented rate of recent GTMO transfers has heightened member concerns that security is taking a backseat to politics.” The men who were transferred out of the prison were all cleared by a committee that includes representatives from the departments of Defense, State, Homeland Security, and Justice, as well as the Joint Chiefs of Staff and the Director of National Intelligence. The transfers are based on justice, not politics.